In yesterday's list of the ten most essential books in my development as a food writer, I mentioned that I'm so behind in my reading that I can recommend only two books published in 2009: the Momofuku cookbook and Westword restaurant critic Jason Sheehan's memoir, Cooking Dirty. 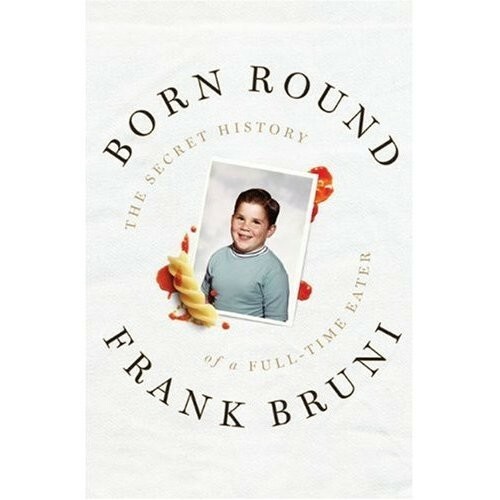 A crippling brain cramp prevented me from including a third book that I enjoyed very much, Born Round: The Secret History of a Full-Time Eater by Frank Bruni. Bruni stepped down as New York Times restaurant critic earlier this year. While his memoir does include observations from his time in that influential position, it's really about his lifelong struggle with his weight and the eating disorder his struggle prompts. Bruni is a very strong writer, descriptive and witty, and his memoir manages to be affecting without falling prey, as so many memoirs do, to self-pitying self-indulgence. Readers, what food books kept you turning the pages this year?